Discover how your school can make the shift to a focus on learning, collaboration, and results to radically improve student learning—even in schools facing 21st century challenges like mobile populations, increasing numbers of English learners, and high poverty. Learn from educators in eight diverse PLCs who share their successful strategies and inspiring experiences in candid conversations and unscripted team meetings. Leverage a big-picture overview of the big ideas that distinguish a PLC from a traditional school. Discover research-based strategies for putting PLC theories into actionable measures to improve learning. 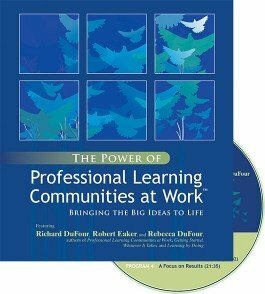 Find critical tools and techniques for shifting the focus from teaching to learning. Develop a complex understanding of why collaborative teams focused on a common goal will benefit both students and teachers. Defend a rationale for using common formative assessments to set goals and monitor progress.